Carlsberg UK has donated £10,000 to the Surviving Winter appeal by Northamptonshire Community Foundation. Northamptonshire Community Foundation’s Surviving Winter appeal aims to save lives and help isolated and vulnerable older people in the county. The winter can be one of the hardest seasons to get through for the most vulnerable in our community due to social isolation and the cold. Many older people die in freezing temperatures, every degree drop below 5C sees a 3.4 percent increase in deaths. This year, Northamptonshire Community Foundation’s Surviving Winter appeal aims to work to reduce the number of older vulnerable people in Northamptonshire who die from the cold and poor living conditions to 0. To support the launch of the appeal, Northampton-based brewer Carlsberg UK has agreed £10,000 to the cause from the proceeds of its new locally brewed Christmas Beer called - Carlsberg Christmas Brew - which is available in pubs, bars and venues across Northamptonshire, over the festive period. 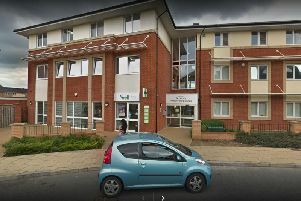 Northamptonshire Community Foundation is calling for support from the county to ensure help is given to help even more of the most vulnerable in our communities and remind them that they are not forgotten. The foundation is asking people to get involved and raise awareness of the appeal by wearing their favourite scarf and sharing a #SurvivingWinterScarfie on Facebook, Twitter or Instagram. For more information on how to get involved in the appeal please visit www.ncf.uk.com/survivingwinter and to find local stockists of Carlsberg Christmas Brew visit www.carlsberg.co.uk/christmasbrew.